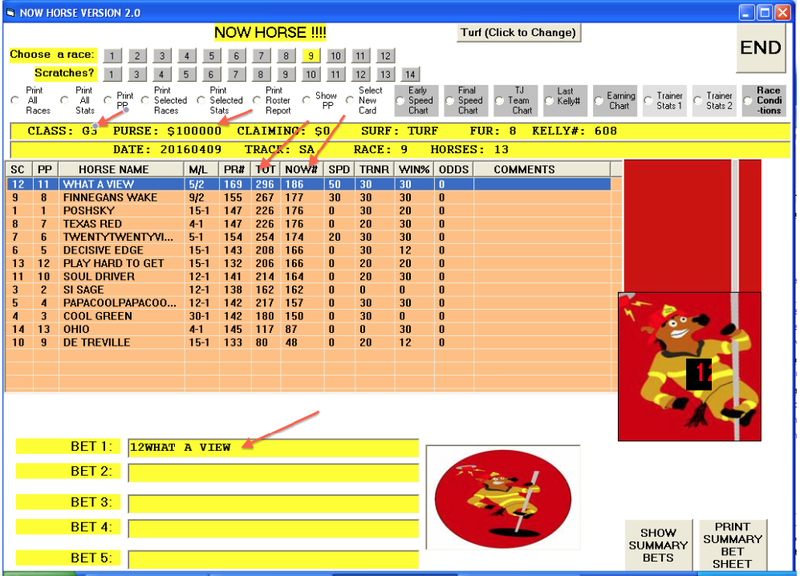 An Exciting New Program that Points Out Trainer/Owner Setups to spot ‘Win-Ready’ Horses! It’s not necessarily for lack of knowledge, as many players have been well schooled in the art of reading the past performances, etc. You see, most horseplayers just peruse the entries, looking at a race as more or less a set of ‘random’ circumstances: running lines, workouts, speed figures, etc., etc. But the important thing, the vital thing, is that to the money-makers in this game any given horse race is far, far from a random event. These owners and their respective trainers vie for these purses, which are necessary to win to compensate for the very high expenses of owning one or multiple racehorses. Owning and training is BIG business. And in this business the spoils go to the horsemen who are best able to have their horses ready to win on race day. And, as you might have guessed, smart horseplayers, i.e., winning horseplayers, are very well aware of when a runner is sitting on the ‘go’ button. Now, it takes the average, serious horseplayer years to not only learn this information, but also to learn how to use this information. But now you can cut that learning curve down by some 99% as good friend of ours, a professional out of Philadelphia, Jason Turpin, has developed a software program that does a picture-perfect job of identifying these ‘ready-to-roll’ runners! He calls it The N.O.W. Horse, which stands for Never Overlook Winning moves. Jason has discovered a super-consistent formula that locates horses being moved into high-% win/place situations by their connections (Owner/Trainer). 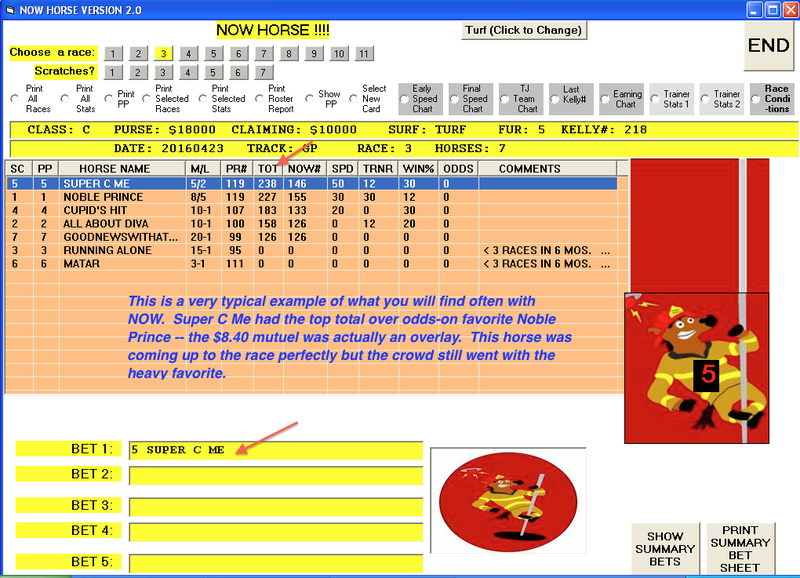 This enables the program user to focus in on not only active win/place situations but also find horses with big point spreads that are likely ‘singles’ in the horizontal exotics (daily double, pick 3, 4, etc.). 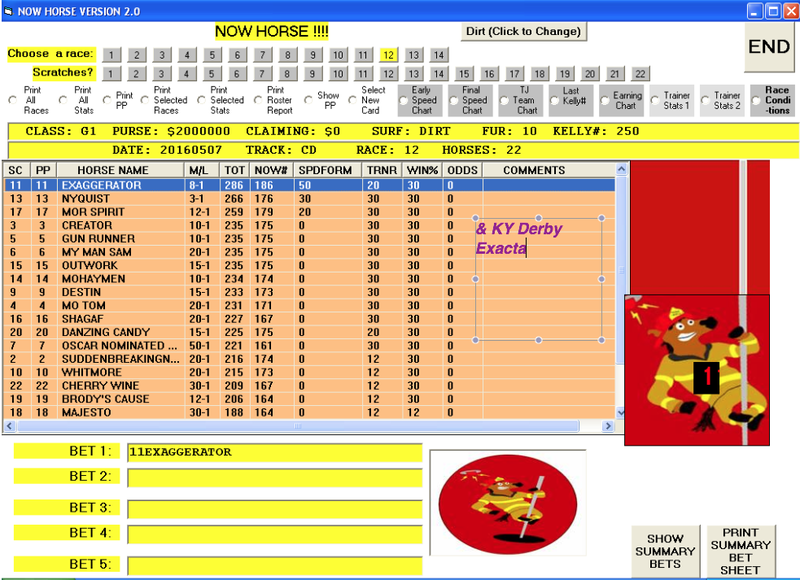 Win/Place hit rate @57% so the selections make for excellent Exacta key horses as well. Below: A good example of a horse who had the ‘set-up’ factors working for him and who outdistanced his rivals on N.O.W. Points and Total Points considerably. He got the job done at 8/1. Cheaper claiming races are very ‘readable’ by N.O.W. — Here the top scorer went right by the 3-to-5 favorite. 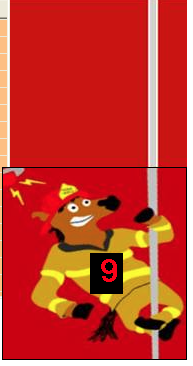 And NOW Horse is G-R-E-A-T-T-T! in Stakes races! The Grade 3 race below is a good example. On this day, between Santa Anita and Gulfstream, NOW Horse hit six (6) Stakes races. While the prices in the bigger races are often on the modest side, the high % hit rate (@39%) makes for profitable play and logical ‘singles’. NOW# = The N.O.W. formulation which includes speed/pace/distance capability (or lack thereof)/positive pattern indicators, etc. TRNR = a Trainer ‘intention’ award which plays off of win and itm %, competency at today’s distance/surface, etc. The NOW Horse Software, of course, includes all of the popular RPM Program features: View/Print PPs/Daily Program/Extensive, up to the minute Trainer stats/Graphic Chartings for speed, pace, earnings, class, jock/trainer combos/ Summary Bet Sheet that displays all of the day’s plays without having to look at every individual race. You will enjoy the extreme consistency and total lack of runouts. And it is priced right at just $97 Hard Copy and Ebook available too! Call us at 1-800-696-0067 or order from the website Thank You!